Introducing the JavaCup from Mad Dog! 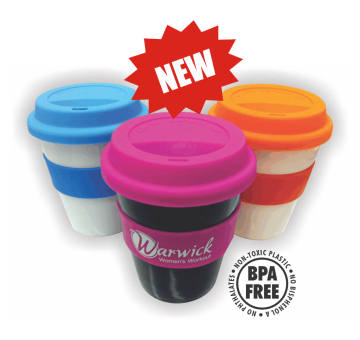 The JavaCup is a BPA free polypropylene hard plastic cup with a silicone lid and heat band. The JavaCup from Mad Dog has been designed to have your logo or text printed on it. Please contact us for more information, or simply click the quote button below.